Discover how to leverage modern Unix even if you’ve never worked with Unix before. This book presents everything in conceptual terms that you can understand, rather than tips to be committed raw to memory. You will learn everyday tasks ranging from basic system administration—partitioning and mounting filesystems, software installation, network configuration, working from the command line) — to Bourne shell scripting, using graphical applications, as well as fanciful things such as emulation layers for Windows and Linux and virtualization with VirtualBox. It’s now 50 years since the creation of Unix but it is still growing. 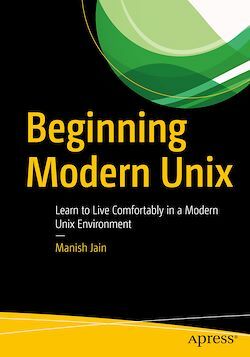 As Unix now moves to everyone's OS (open-source FreeBSD/Linux), it is the perfect time to start your journey with Beginning Modern Unix as your guide. Live comfortably in a modern Unix environment, both on the command-line and in the graphical world. Everyone who uses a computer – those who intend to migrate to Unix as well as those who are worried about migrating to Unix, perhaps fearing it is a pure command-line or ‘difficult’ world.